A Flock of Seagulls Set To Land In Reading For Downtown Alive Concert On June 19! Grammy winner A Flock of Seagulls will headline the free Downtown Alive outdoor concert on June 19 in Reading. Get all the details about this great ‘80s retro show in our latest newsletter here. Also included in this edition is a “Piano Bench Wanted” plea and a tell-tale sign that Spring is finally here! The RPA will begin work on the Chiarelli Plaza Garage on April 22, 2019. The current monthly lease rates at the Chiarelli Plaza, which have been in effect since January 1, 2015, are $82.00 for a regular space, $123.00 for a reserved space, and $65.00 for a residential space. Due to the planned technology upgrades, ALL Chiarelli Plaza Garage permit holders will have to complete a NEW lease agreement with the RPA on or before April 12, 2019 for continued use of the Garage. This is true for all Chiarelli Plaza permit holders despite any prior lease agreement with the RPA. If your employer issued the PROXY card you use to enter the Chiarelli Plaza Garage, please contact them to complete the required forms. The new information requested by the RPA is necessary because of the planned technology upgrades. It will also allow the RPA to contact its customers as issues arise, for example, snow emergencies, garage upgrades/repairs, special rates, and/or concerning billing inquiries. When new PROXY cards are available for continued access to the Chiarelli Plaza Garage and you have provided all of the newly requested forms and information to the RPA, you will be contacted via phone or email to return your current PROXY card. Then, you will be issued a new PROXY card to enter/exit the Chiarelli Plaza. In the meantime, please continue to use your current PROXY card. The PROXY card exchange for permit holders will be at the RPA’s main office at 613 Franklin Street, Reading, Pa.
RPA business hours are Monday – Friday from 8 a.m. until 4:45 p.m. During the process, RPA has extended its office hours on Tuesdays and Thursdays until 6:45 p.m. starting April 2, 2019 and continuing until the new gate process is completed. For questions or concerns, please contact Thomas J. MacDougal, IV, RPA Executive Director, at 610-655-6166. Sure as Spring rolls around, so does Berks Jazz Fest, too! The annual music festival is April 5-14 at various locations in the county, including several venues in downtown Reading. This is the 29th edition of the Fest, and we're excited to see and hear it unfold! So much so that we've devoted our latest newsletter to all things Berks Jazz Fest! You can check it out here. 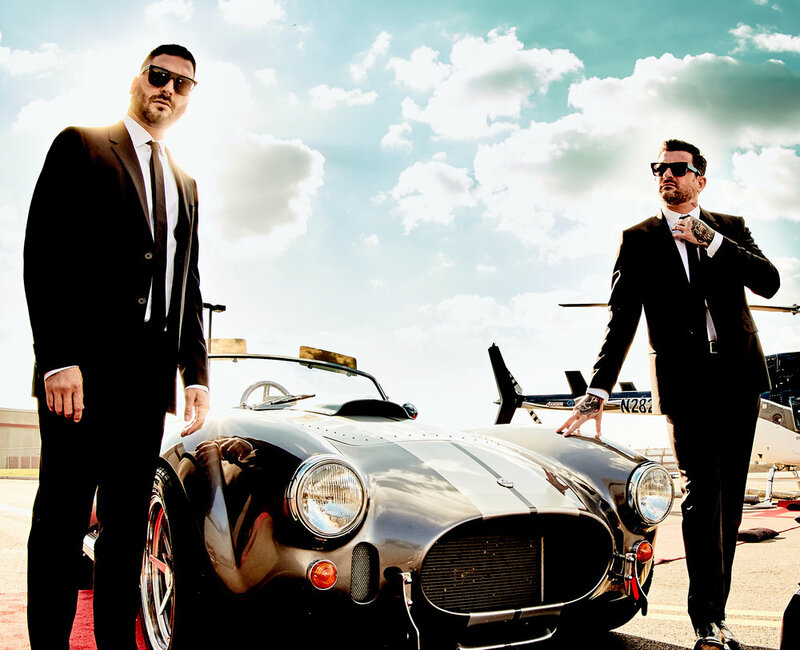 Back by popular demand, local and regional favorite Go Go Gadjet will team up with the DJ duo Black Caviar to launch the 2019 Downtown Alive free outdoor concert series on Wednesday, May 29. The series will include five other concerts between June and October that will feature a broad mix of musical genres. The shows will be staged again on Penn Street by the Reading Downtown Improvement District in partnership with Berks County Community Foundation and Berks County Convention Center Authority. Go Go Gadjet’s band members have strong roots in Berks County. Together for more than a decade, the group blends the rhythms of dance music with familiar melodies from the past and present, straddling the line between band and DJ like few others. Broad noted that negotiations are being finalized with acts for the other concerts, and that those performers will be announced in the coming weeks. Each concert will have a festival atmosphere and include food trucks and beer and wine for sale. A “kids play zone” will also be set up and feature a variety of activities for children. The shows will be held in the 500 block of Penn Street and start at 5 p.m. Specific food and beverage vendors will be announced before the series begins. Berks County Community Foundation, which has been financially supporting the concert series since its inception in 2015, is providing major financial support from its Hawley and Myrtle Quier Fund. Berks County Convention Center Authority is another major sponsor. Additional sponsorships are available by contacting the Improvement District office at 610-376-6424. More information on the concert series can be found at www.downtownalivereading.com . Celebrate the area’s beer history and the skills of today’s local craft beer brewers by raising a glass of this beautiful stout to help repair the statue of President William McKinley in Reading City Park. Berks Brewers Guild members Broken Chair Brewery and Chatty Monks, both based in West Reading; Oakbrook Brewing Company, in the Millmont section of Reading; Saucony Creek Brewing Company, Kutztown; and the 1787 Brewing Company, Hamburg, have again collaborated for a great cause. This time, the collaboration has produced McKinley's Prosperity Stout, a new brew to help raise funds for the restoration of the William McKinley monument that sits just to the right of the Frederick Lauer monument along Perkiomen Avenue in City Park. The statue itself is in pretty good shape, but the marble base is shifting a bit after a century – and we want to make sure the tribute to the martyred commander-in-chief will be in good standing for years to come. McKinley's Prosperity Stout will be debuted at the annual Reading Fire + Ice Fest on January 18 and 19 in downtown Reading. Beer aficionados can savor this great new brew – and simultaneously help fund the restoration effort – at the Saucony Brewing Company stand at the festival. William McKinley was the 25th president of the United States, serving from March 4, 1897, until his assassination six months into his second term in September 1901. He was the third president to be assassinated. McKinley was the last president to have served in the American Civil War and the only one to have started the war as an enlisted private in the Union Army and ending as a brevet major. Edward L. A. Pausch, a Danish-born sculptor, was summoned to Buffalo to make a death mask of McKinley shortly after his death. Death masks, usually made of wax or plaster of Paris, were common for major personalities of the time. In 1903, Pausch was commissioned to create a sculpture of McKinley for a monument to be erected in Penn's Commons, now Reading City Park, by the Reading Board of Trade, a predecessor of the Greater Reading Chamber of Commerce. The death mask was used as a model for the face on the Reading sculpture, which shows the president in a double-breasted, knee-length coat holding a copy of the speech he delivered at the Pan-American Exposition. The monument was dedicated with great fanfare on June 8, 1905. It was the first McKinley monument in Pennsylvania. A year later, on the fifth anniversary of his death, the McKinley statue was featured in a Page One article in The Washington Post. Fireworks originally planned for the New Year’s Eve celebration at the Pagoda will be part of Reading Fire + Ice Fest’s opening night festivities on Friday, Jan. 18. The fireworks were canceled because of inclement weather. Koch noted that the fireworks display above Mt. Penn on New Year’s Eve has been a tradition for the past 21 years, and that Fire + Ice Fest was a perfect way to extend that tradition, albeit a few weeks later than usual. The fireworks, which will light up the nighttime sky above the Pagoda, are being presented by Berks Festivals Inc., and sponsored by the City of Reading; Foundation for the Reading Pagoda; Tompkins VIST Bank; UGI HVAC; William G. Koch & Associates, CPAs; Kozloff Stoudt Attorneys; DoubleTree by Hilton Reading; Penn National Gaming; White Star Tours; and Greater Reading Chamber Alliance. The show is staged by International Fireworks of Douglassville. “People from throughout Berks County and beyond have enjoyed the colorful pyrotechnics display we’ve had year after year at the Pagoda, and we hope those who attend Reading Fire + Ice Fest will be just as delighted,” Koch said. Reading Fire + Ice Fest will kick off at 5:30 p.m. on Jan. 18, and the fireworks are scheduled for 9 p.m., weather permitting. The Pagoda will be open from 7 to 9 p.m. on Friday and have refreshments available but no live music. If the fireworks are postponed until Saturday, the Pagoda will be open that night at the same time. The wintertime festival will once again feature a variety of both indoor and outdoor activities, including a Snowfall Ball, professional ice-carving competitions, fire performances, a chili cook-off, a large food and beverage tent, live music, and food trucks. All outdoor activities will be free, and the chili cook-off and Snowfall Ball will have nominal entry fees. 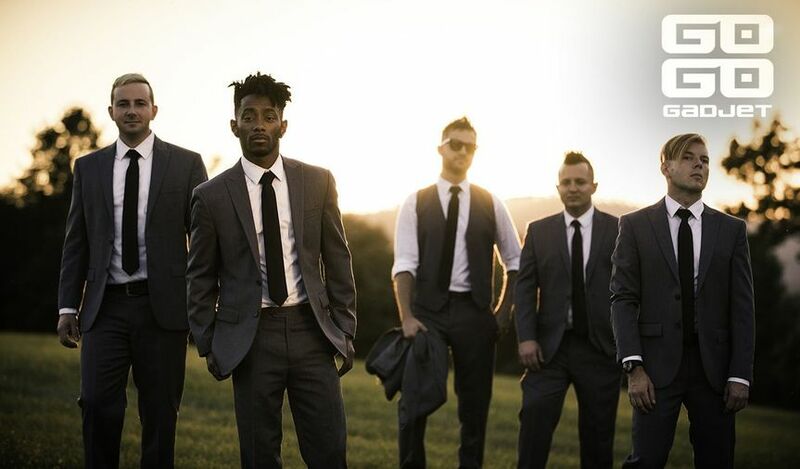 Scheduled to perform at the Snowfall Ball on Saturday, January 19 is The Uptown Band, one of the country's most versatile acts that feature an exciting and eclectic mix of music. The “casual dress” ball will be held at the DoubleTree by Hilton Reading hotel ballroom. Doors will open at 6 p.m.
Sculpted Ice Works, located near Scranton, Pa., will rejoin Reading Fire + Ice Fest with spectacular ice sculpture displays and carving competitions. Established in 1999, Sculpted Ice Works is a full-service ice event company with several members of the National Ice Carving Association, and is owned by Mark Crouthamel, a carver with more than 20 years of experience under his belt. Returning again to thrill audiences with their heart-stopping fire performances will be Madeleine Belle from Philadelphia and Flame Nouveau from Allentown. Reading Fire + Ice Fest is organized and presented by the Reading Downtown Improvement District and supported in large part by a generous grant from the Hawley and Myrtle Quier Fund of Berks County Community Foundation. The Leadership Berks Class of 2019 is conducting a study on the need and effects of local community programming on BCTV. You are invited to participate in a brief survey that will help gather information to make determinations about the use and effectiveness of certain projects and programs on BCTV. Survey participants will have the opportunity to be considered for a targeted focus group and will also be entered to win one of 10 VISA gift cards. The survey is available to take until January 18. Check out our latest "Downtown Alive!" show on BCTV! The former Pomeroy’s department store at Sixth and Penn Streets all decked out for the holidays! Our latest “Downtown Alive” show on BCTV focuses on Christmases past as well as present in Reading. Host Laura Reppert looks back at the holidays as they were celebrated years ago with Berks History Center’s Rick Polityka. Plus, check out highlights from this year’s Reading Holiday Parade! It’s all right here. Reading Fire + Ice Fest Just Around The Corner! 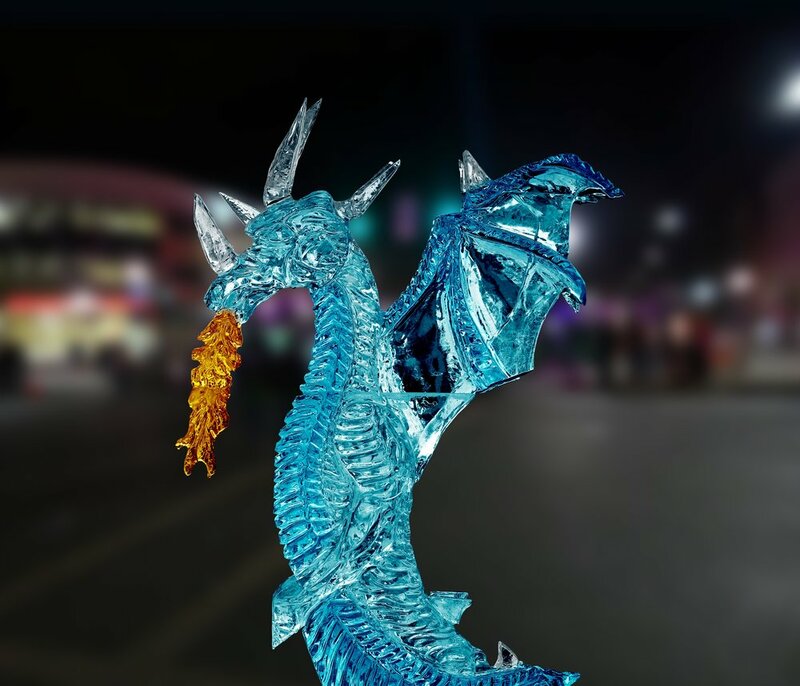 Our latest newsletter features details on 2019 Reading Fire + Ice Fest! Check it out here. Reading Holiday Parade In Statewide Spotlight! Our annual Reading Holiday Parade is now highlighted in a statewide publication called “Centerpiece.” Check it out! Tree And Menorah Lightings, Free Parking, And More in Latest Newsletter! We’re just days away from the holiday tree lighting in downtown Reading! Read all about the festivities surrounding this annual event in our latest newsletter right here. Also included in this edition is a special announcement from the Reading Parking Authority, which is offering free parking on select days this holiday season. And check out the details surrounding the screening of "Polar Express" this Saturday (December 1) at Reading Movies 11 & IMAX. Join Us For Holiday Tree & Menorah Lighting Ceremonies on Sunday, December 2! Join us for the Holiday Tree and Menorah lighting ceremonies on Sunday, December 2 at 5th and Penn Streets! Festivities will kick off at 4 p.m. with the official lighting ceremonies beginning at 5 p.m. Kids can meet Santa and enjoy arts and crafts activities, plus live holiday trees will be available to purchase. It’s fun for all! A Holiday Gift From The Reading Parking Authority! Here’s great holiday news direct from the Reading Parking Authority! “In order to support Downtown Reading and the city businesses, the Reading Parking Authority, for the first time, is offering a great parking incentive! From December 21, 2018 (8 a.m.) until December 26, 2018 (8 a.m.), there will be no charge for those who park at METERS or KIOSKS to encourage patrons to visit Downtown Reading to see what the City of Reading has to offer this holiday season and beyond. From December 24, 2018 (4 p.m.) until December 26, 2018 (5 a.m.), parking in all our GARAGES will be free. The Reading Parking Authority is offering this so that family and friends can spend time with each other over the holiday without having to worry about finding or paying for parking. We're Days Away From The Reading Holiday Parade! 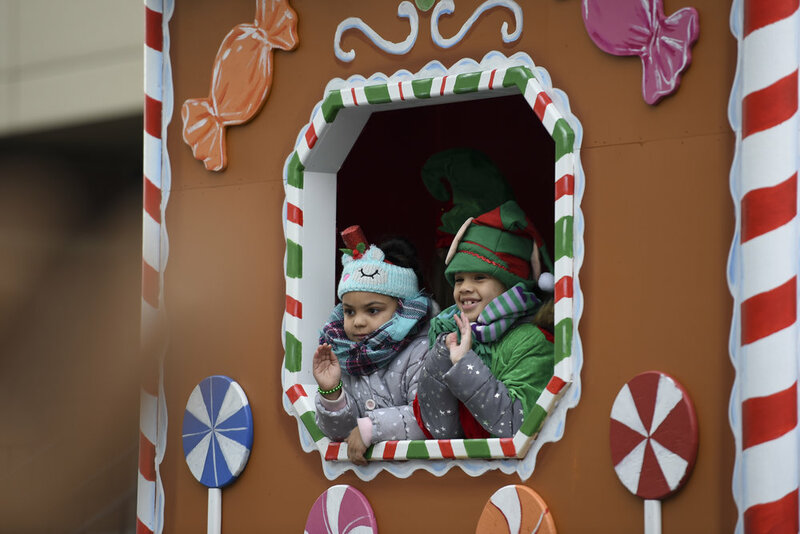 Bundle up and bring out the family and friends to this year’s Reading Holiday Parade on Saturday (November 17) starting at 10 a.m.! Find out who are this year’s grand marshals, where to park for free, and other parade details in our latest newsletter here. Also in this edition is info on the showing of “Polar Express” at Reading Movies 11 & IMAX on Saturday, December 1 at 10 a.m. Tickets are just $1! Check out our latest BCTV show and see vintage Reading Holiday Parade video! If you groove to the blues, you're going to love the second annual Reading Blues Fest November 16 through 18! With a ton of acts performing at the DoubleTree by Hilton Reading hotel, center city is going to be the epicenter for this musical extravaganza. We give you the inside scoop on this festival in our latest newsletter, which is available here. Pumpkin Palooza + Reading Holiday Parade = Fun In Downtown Reading! Painting pumpkins is just one fun activity for kids at Pumpkin Palooza at the GoggleWorks. Two seasonal events are featured in the latest edition of our newsletter — Pumpkin Palooza on Sunday, October 14 and the annual Reading Holiday Parade on Saturday, November 17. Read more about both right here! Check Out The "Three For Free" In Our Latest Newsletter! If you like free things (and who doesn't?! ), then you'll want to see what we have for free in September in downtown Reading! Check it all out in our latest newsletter right here. Sugar Hill Gang And NOVA Will Perform For Free on August 15! There Here, There, And Everywhere! They're The Dreaded Spotted Lanternfly! But how do you get rid of them? Find out this Monday, August 13 at a free public forum at the DoubleTree by Hilton Hotel, 701 Penn Street. The forum will be held in the amphitheater between 10 a.m. and 11:30 a.m. Guest Speaker will be Evan Corondi at the Berks County Conservation District. He is the point person at the Conservation District for dealing with the spotted lanternfly. His presentation will include information on the introduction and biology of this invasive insect, as well as potentially hazardous effects this species can have on our environment, economy, and quality of life. Biosecurity measures and methods of control will also be covered. A question-and-answer session will follow Evan’s presentation. This free forum is open to the public, including city residents and business owners. The event is being jointly sponsored and presented by the Reading Downtown Improvement District, DoubleTree by Hilton, and the Berks County Conservation District. If you have questions about the spotted lanternfly, be sure to join us Monday at the DoubleTree!